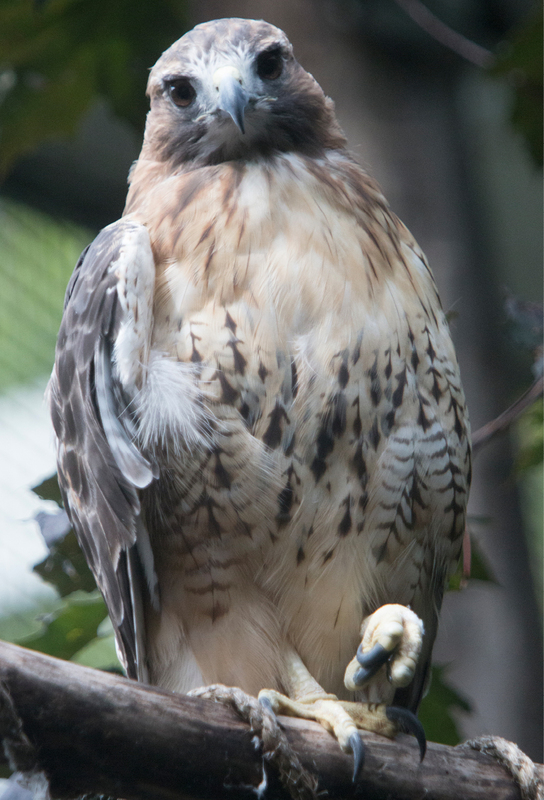 Originally from Cape Neddick, ME, this hawk was struck by a vehicle in 1998. Neddick’s right wing was broken, and the elbow dislocated. Unfortunately, these injuries permanently impaired his flight ability, so he would not survive if returned to the wild. For several years, Neddick was a glove-trained education bird featured at VINS and throughout the local area. As Neddick grew older, he seemed to suffer from some mobility problems. Neddick was retired from educational programs in 2014. However, as soon as he was released into his new exhibit home, Neddick shocked everyone by hopping and climbing right up to a perch, moving as if he had no arthritis at all! Our staff suspects that he feigned injury in order to retire early and enjoy a cozy life on exhibit. He is still very vocal when staff and volunteers enter his enclosure, and can be seen sunbathing and napping on the floor on hot days. 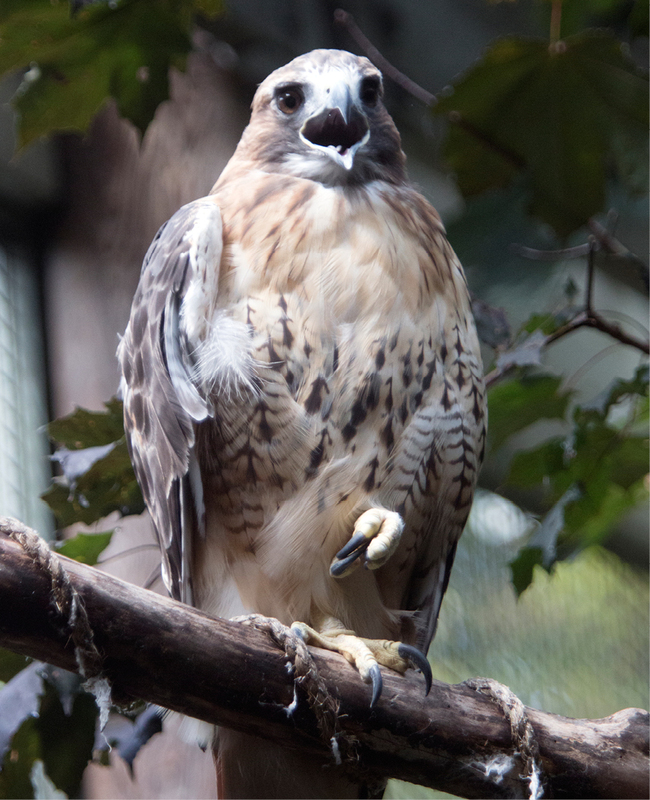 Thank you for helping support the care of our Red-tailed Hawk, Neddick, through the RISE Adopt a Raptor Program. 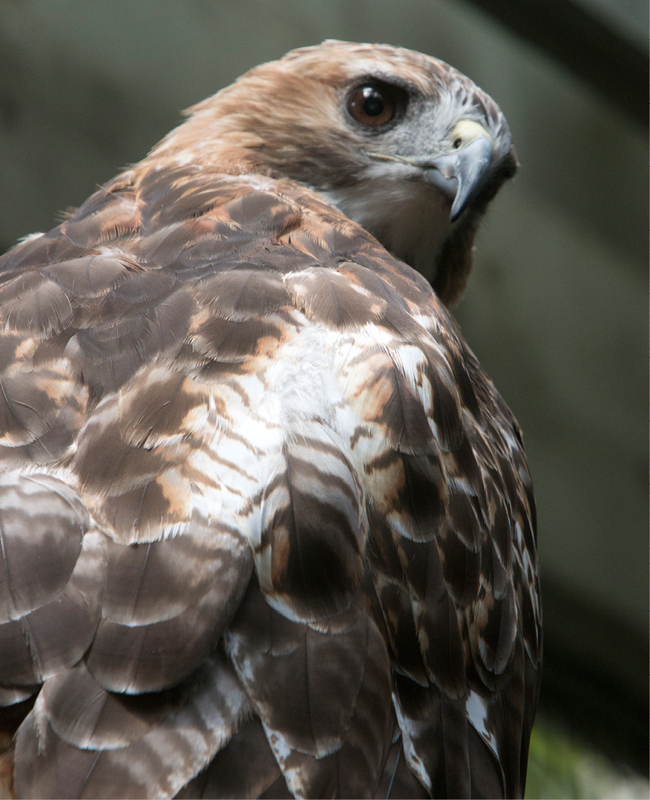 Together, we can protect our natural heritage through education, research and avian wildlife rehabilitation.